In 1911, Beulah was expecting her second child, but to her surprise, they had twins. Being prepared for only one, she only had one bassinet so one of the twins had to be placed in the family's laundry basket until this could be rectified. Thou neither twin was ever able to find out which one ended up in the basket, it was always a family question never answered. 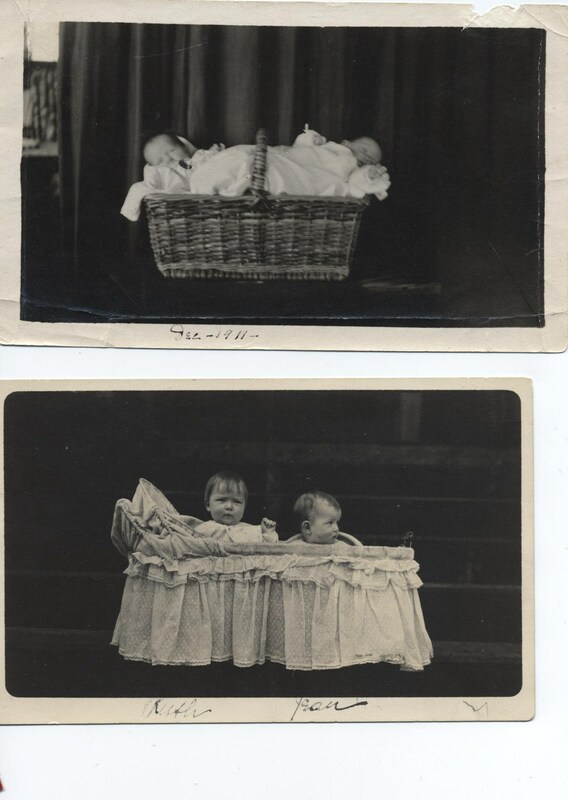 2 pictures 5 1/2 x3 1/2"
“Samuel and Beulah Reed had twins,” Nehalem Valley Historical Society Online Archive, accessed April 21, 2019, http://nehalemvalleyhistory.org/omeka/items/show/972.